I wasn’t able to edit this photo last night since I got home late and my roommate was asleep. I was helping a friend with a last minute theatrical lighting focus for a small show happening at UCLA. 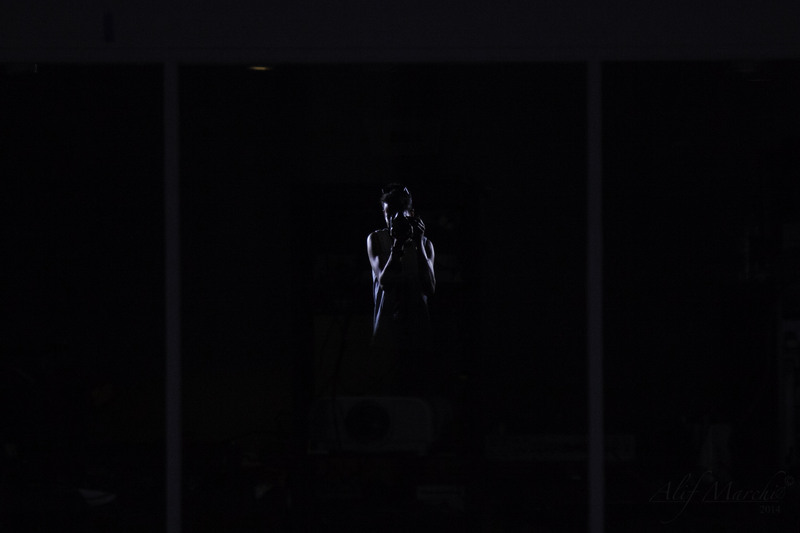 Here is a quick shot of my reflection with rim lighting. But damn, just one more day? I’m looking forward for that photo! May I ask, will this blog remain somehow active after you achieve that wonderful number? Thanks! I know, one more day. This journey has been crazy. I’ve been considering continuing, but with less of a set of rules. Instead of everyday, maybe just whenever a major life event happens. I feel like those photos would carry more weight in the long run anyways. I might also be shifting focus into the world of technology. Maybe even tech review, but that is yet to be decided. I don’t want to waste your time by babbling, so, huge congratulations for almost-there finishing this! I plan on putting up a reflection/plan for the future post tomorrow, which is incidentally my birthday. The photos I choose will be split up by category and by accomplishment probably, and I might even reedit a few if the need arises.